What a great day! 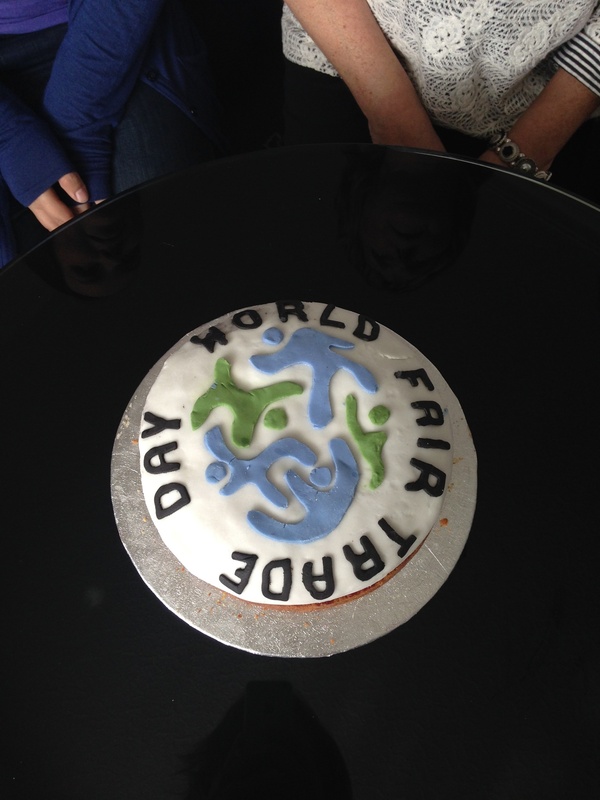 Lots of people interested in Authentic Fair Trade via WFTO producers who can put the Guarantee System Logo on their products. 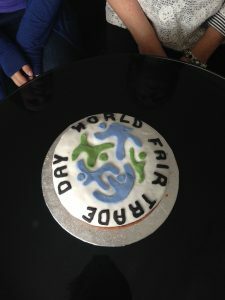 We joined hands throughout the day and ended with a slice of homemade WFTO celebration cake! This has become quite a tradition for us as my sister Caroline loves baking! We now have a permanent display of products in the window at Kinder Handl in Glasgow – email us for details.